SAN FRANCISCO:- Chief Executive of Microsoft Steve Ballmer said that Microsoft will be able to innovate “with greater speed, efficiency and capability,”. Ballmer saying that the new “One Microsoft” strategy will focus on creating “a family of devices and services for individuals and businesses” that will give them the power to do whatever activities they want. “We will allocate resources and build devices that provide compelling and integrated experiences across the many screens in our lives,”said Ballmer. Ballmer said Microsoft will now be organized according to functions. He said each area would be charged with driving Microsoft’s overall strategy.Moreover Microsoft also being responsible for its business capabilities. 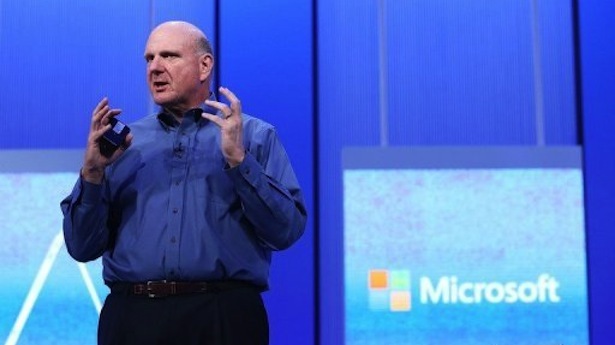 Now Microsoft will have four engineering areas: operating system, apps, cloud and devices, Ballmer said.